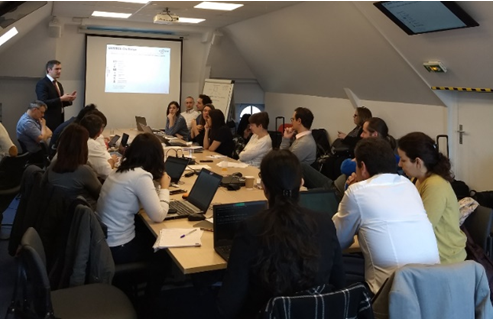 Being officially in the extension period which was granted to DESIREE project, the DESIREE Consortium members were gathered in Paris on March 27-28 2019 for a Plenary F2F meeting, combined with a special Workshop with various stakeholders on exploitation. The first day of the meeting, 27th March, was dedicated to a general project overview, discussing the tasks which run till the end of the project: validation, exploitation, IPRs, dissemination and various coordination topics. A lot of attention was given of course to the technical and clinical validation results from the DESIREE platform and modules, detailed feedback on which was provided by the relevant team members. The feedback from the actual intended users during the simulated BUs is noted in detail and analyzed. For a detailed report on this very original Workshop, please click here.